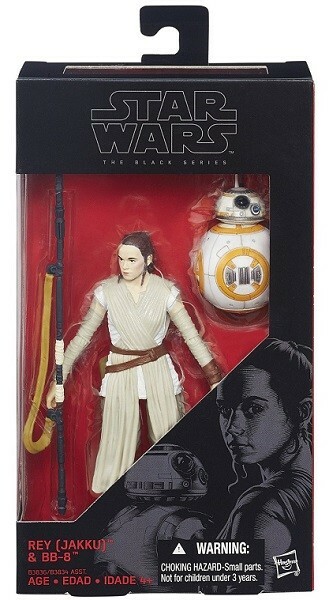 With exquisite features and articulated movement, the figures in the Black Series action figure line embody the quality and realism that Star Wars devotees love. 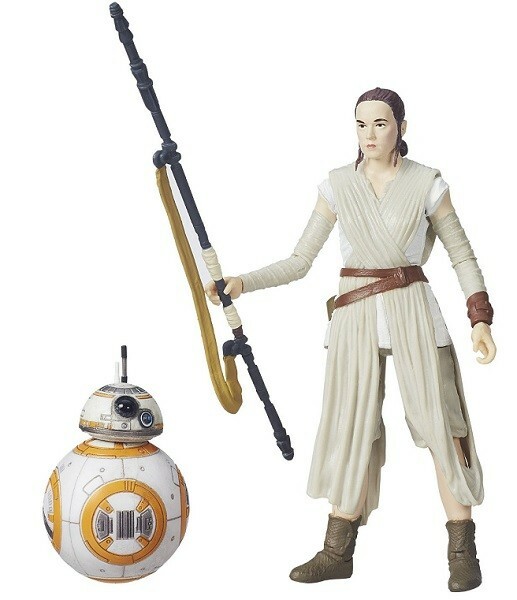 Rey is a resilient survivor, a scavenger toughened by a lifetime of dealing with the cutthroats of the harsh desert world of Jakku. 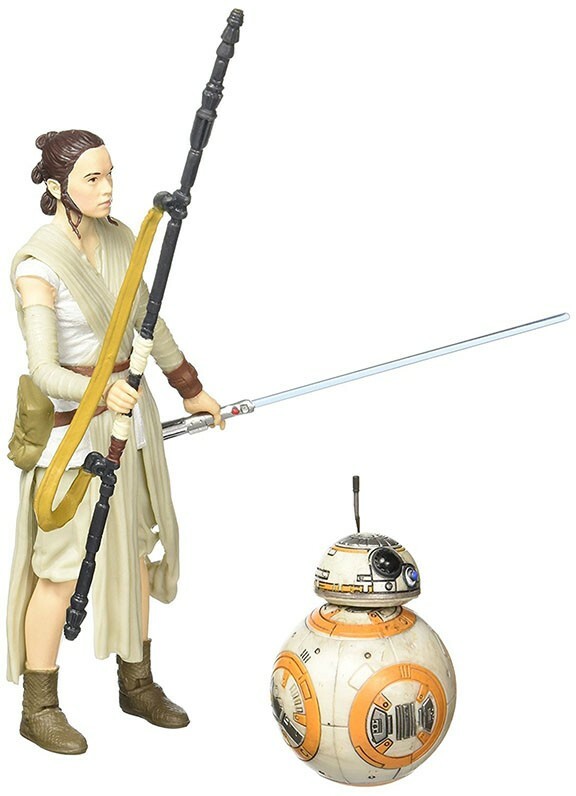 BB-8 is the spherical, loyal Astromech Droid of the Resistance pilot Poe Dameron. 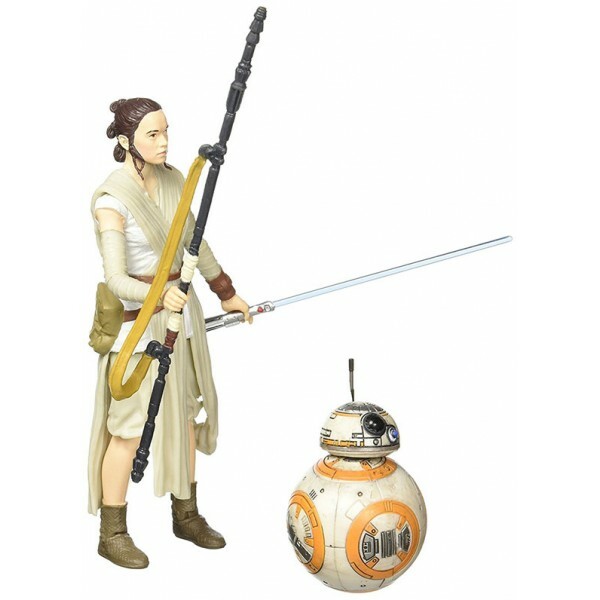 This 6-inch scale figure set of Rey and BB-8 is carefully detailed to look just like the heroic characters from Star Wars: The Force Awakens.